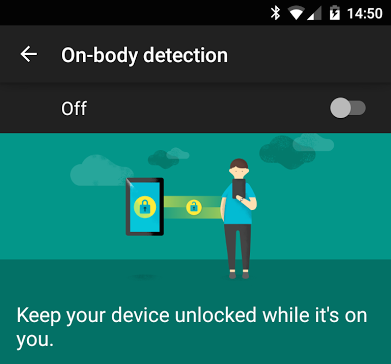 Keep your device unlocked while it's on you, yes this is a new upcoming Android 5.0.1 Lollipop new security feature. Most of the people leave their smartphone's unlocked, and suddenly your family member or a friend use your phone without your permission. Don't you just hate that? Well don't worry google soon roll out this new feature to all the Android devices, then your problem might be solved. 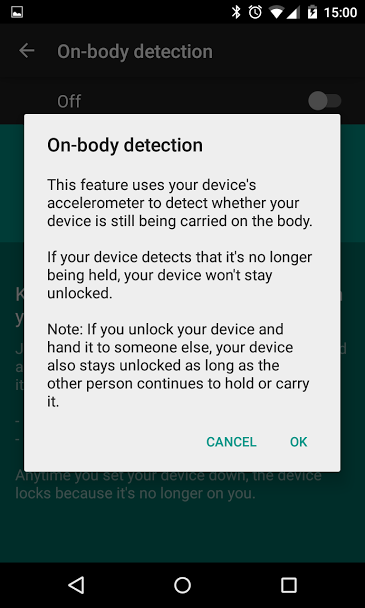 It Keeps your device locked if your accelerometer detects that you are not holding it or it's not in your pocket, like on a table somewhere. 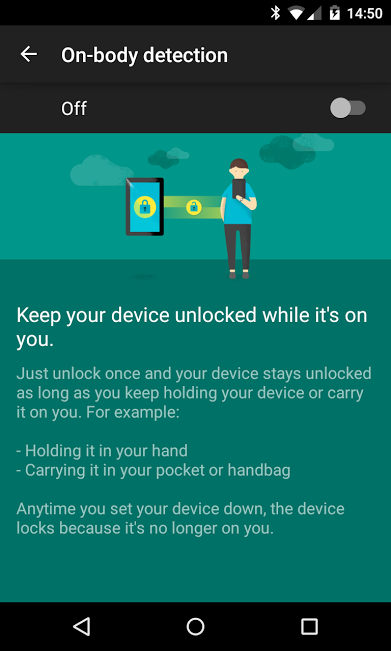 If you holding your phone it unlocked automatically and you give it to another person, it will still stay unlocked because it won't be able to detect whether you yourself is holding it, only it works when it's being held, pocketed or placed down. 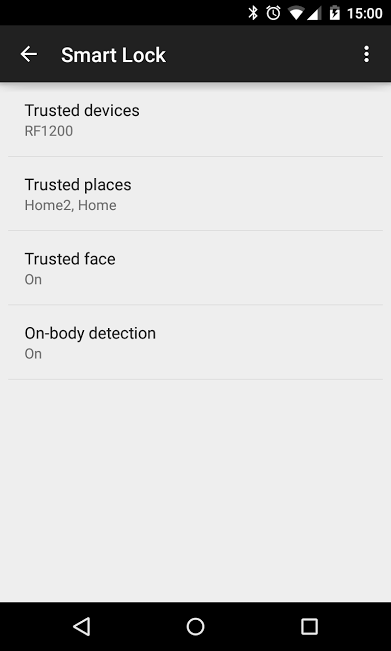 The device feature was noticed on was a Nexus 4 still running Android 5.0.1, but we're now seeing it on many devices including Nexus flagship.